Most people want to pick the coolest phone they can find and then choose a service plan. However, that course often does not work well, since not every phone works with every wireless network. What comes first — the phone or the service plan? For a first-time user, it is better to choose your plan first, then the phone. Because choosing the wrong plan can cost you extra money each month, while the phone is a one-time decision. In addition, most carriers offer a full range of phones for each service plan, from inexpensive to full-featured. Unless you have your heart set on a specific, hot new phone, go for the plan first. Wireless systems in the USA (unlike Europe and Asia) are not compatible with one another. 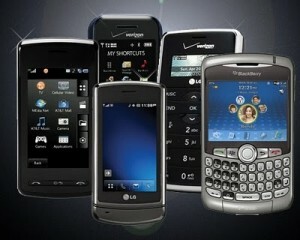 This means that a Sprint PCS phone, for example, won’t be compatible with AT&T Wireless service. Even if you just want to switch carriers, you will probably need to buy a new phone. For experienced users and high-tech junkies, you can start from choosing your favorite cellular phone. Based on your phone, you may choose you applicable rate plans, but first-time buyers may find this harder. How to choose the correct wireless plan. Decide if you are a heavy, moderate, or light talker. Find out how many people you talk to have the same wireless carrier. Many have free calls or texts to people on the same network. Will you use text or picture messaging? How often? Do you want to play and download music to your phone? Do you want to check your email on your phone? Would you like to use turn-by-turn navigation? (GPS on your phone). After answering these questions you will be able to easily figure out what plan tier you fall into. Select your minute plan and your texting plan based on your perceived usage. Select any extra features based on your need to use the Internet or have a GPS service.